Japanese luxury automaker Infiniti, at the Paris motor show, unveiled its latest Project Black S that might inspire future sports models in the company’s lineup. The Q60 inspired coupe was showcased at the Paris motor show with a few tweaks after earlier revealing at the Geneva auto show. The Infiniti Project Black S takes mechanical cues from the Renault F1 team through the Renault-Nissan-Mitsubishi Alliance, giving it an upper-hand in performance. The concept was showcased with a dual-hybrid powertrain, a first of its kind. It uses two different types of energy recovery to charge its hybrid system, MGU-K which recovers energy that would otherwise be lost during braking coupled with the MGU-H which recovers waste heat energy from exhaust gases. 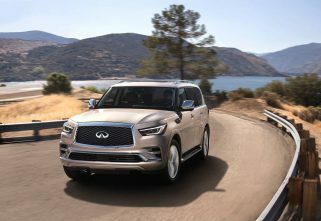 Gasoline push for the car comes with the help of a 3.0-litre twin-turbocharged VR30DDT engine that is seen on the Q60 as well as the Q50 saloon and delivers 400bhp. This engine, when coupled with the hybrid powertrain puts out a total of 563bhp. However, these figures have not been confirmed yet by the company. An aero package that the car inherits from the Renault F1 team, keeps a check on the engine performance. Design cues from the F1 team are evident with the dual plane wing which according to Infinity closely resembles the F1 counterpart with low downforce configuration. Other cosmetic changes on the Project Black S includes aggressive looking bumpers. Significant aerodynamic elements on the car are highlighted with subtle yellow shade. Attributions to a sporty stance include deep bonnet vents along with a set of black alloy wheels. 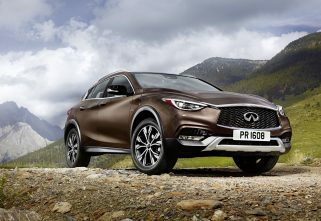 It is doubtful if the car would enter Infiniti’s production lines. However, the company hinted a new model grade that would take its sole inspiration from Project Black S.